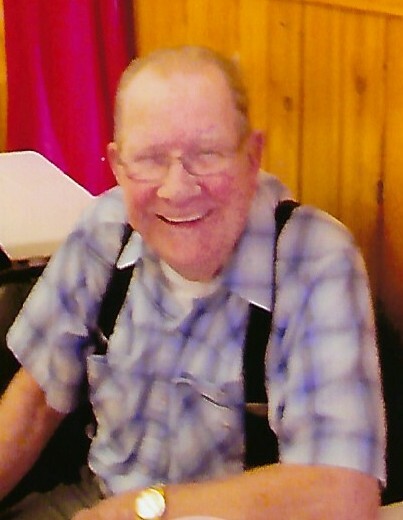 Robert Miles Koch, age 87 was called by his Lord and Savior on Friday, March 22nd 2019 at Heartwood Senior Living. He was born March 8, 1932 in Waupaca County to his parents Peter and Sonia Koch. Robert married Grace Ellen Simpson on June 21st 1952 and they shared 55 years together. Robert enlisted in the United States Army at the age of 17. He served in the Korean War and was awarded the metal of Honor and Purple Heart. He was a member of the Freedom VFW. Robert was a carpenter by trade and worked for Oscar Boldt. He achieved 55 years in the carpenters union. Some of Roberts’s greatest life pleasures were spent with his family and friends at his Scandinavia Lake cottage where everyone enjoyed Roberts great sense of humor and kind hearted nature. Robert was preceded in death by his parents Peter and Sonia, son Paul, wife Grace and Brother Ken. He is survived by his four children Bob (Donna) Koch of Waupaca, Sandy Peterson of Hortonville, Julie Koch of Neenah and Patti (Chad) Bartel of Shiocton, seven grandchildren, eleven great grandchildren and nieces and nephew. Visitation will be held Thursday, March 28th from 3pm-7pm at Valley Funeral Home (2211 N Richmond St, Appleton) and again Friday, March 29th from 9am until time of service at 11 am at Trinity Evangelical Lutheran Church (W6399 County Rd O, Appleton). Robert’s family would like to extend a special thank you to Heartwood Senior Living staff for all their TLC and compassion.